These Daily Tracker Water Bottles available in 3 Styles are on sale for $9.99 (Retail $24.99). 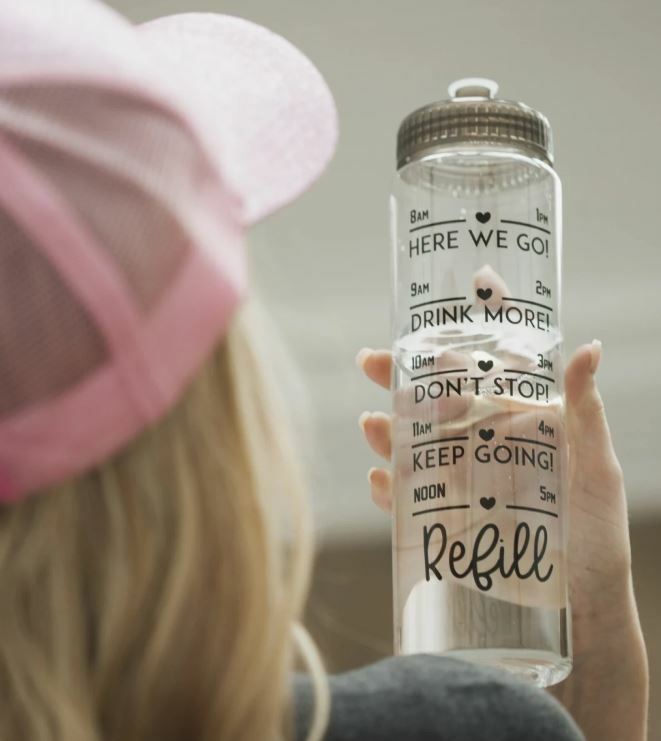 Stay hydrated by getting your 8 glasses of H2O daily with our perfect water bottle tracker! Our easy to use/track water bottles will keep you accountable and have you feeling hydrated in no time at all. Simply fill up first thing in the morning and start drinking. Once Noon hits finish it off and REFILL. By evening you will have gotten your 64 oz of water and the health benefits will show. Make sure you grab a few for your kids & hubby. Help everyone stay hydrated!